If you ever plan to motor west just take the highway that is undoubtedly the best. 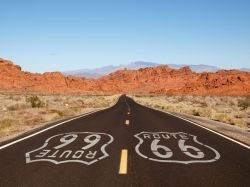 The ultimate road-trip winds from Chicago to L.A. more than 2000 miles all the way, so come on get your kicks on Route 66! Highlights include: Chicago, Springfield, St Louis, Springfield, Tulsa, Amarillo, Santa Fe, Albuquerque, Gallup, Flagstaff, Las Vegas, Los Angeles. Experience the open road as you journey the classic and famed 'Route 66'. Spend two nights in the upbeat and vibrant city of Chicago, home of blues music. Stand under St Louis' enormous Gateway Arch. Explore Santa Fe's adobe-style architecture. Stay in the atmospheric college town of Flagstaff which is bursting with historic charm. Take a side trip to witness the Grand Canyon. Enjoy a hedonistic two night stay in the 24-hour party town of Las Vegas. Arrive into Chicago Airport and make your way to your hotel. 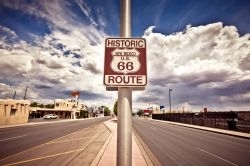 'Route 66' awaits you today as you head to Springfield famed for being the home of Abraham Lincoln. Follow the Mississippi down to St Louis. Here you will see the impressive Gateway Arch at it stands aside the river, symbolising America's westward expansion. Continue through the Ozarks and Mark Twain National Forest to Springfield. Distance to Tulsa: 294km/ 182 miles/ 2.5 hoursFrom Missouri, drive on through Kansas and into Oklahoma, formerly known as 'Indian Territory'. Tulsa is your destination this afternoon. Heading across the Texas Panhandle you'll come to the Palo Duro Canyon State Park. From here, find your way to Amarillo for an overnight stay. Travel across the plains and through the Sangre de Cristo Mountains to the city of Santa Fe. Get back on Route 66 to Albuquerque and experience the neon splendour of its downtown district that honours the American road culture of the 50s and 60s. Zip across the New Mexico desert on roads that were meant for cruising, and in no time you'll be in Gallup, gateway to the Four Corners area and the Navajo Nation. Continue west on to Flagstaff today. From here you can visit the Grand Canyon with ease, or enjoy the town itself of course, with its red-brick historical centre boasting an array of shops and restaurants. Leave Flagstaff and step off Route 66 for a while to journey across the desert to Las Vegas, a shimmering oasis of light, adventure extravagance and entertainment. 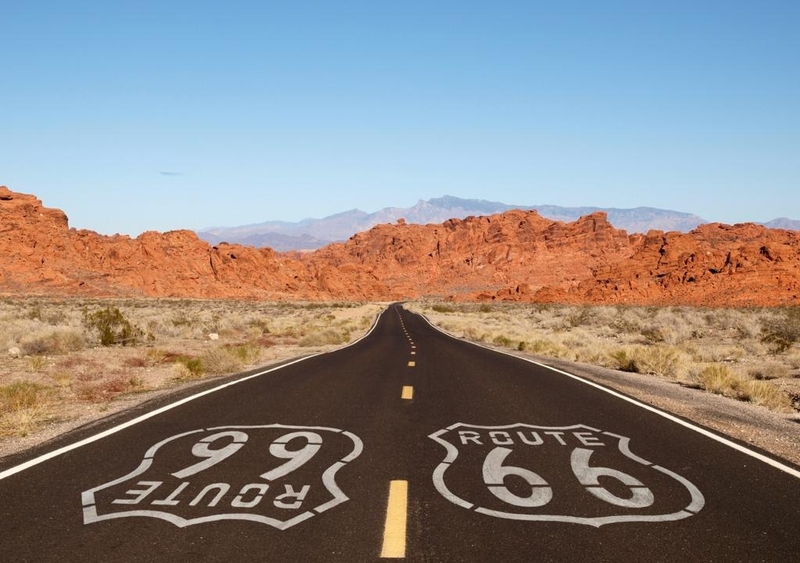 The final part of Route 66 ends just before the Pacific Ocean, but this tour takes you right to it. Route 66 turns into Sunset Boulevard and ends up in Santa Monica by its famous pier. This is where the road and the country ends. Next stop, Hawaii! Your tour ends at Los Angeles.